AUSTIN, Texas — Alyssa Glitzke scored her first goal of her career as Southern Nazarene University was able to knock of Texas A&M International 1-0 and grab its first win of the season. 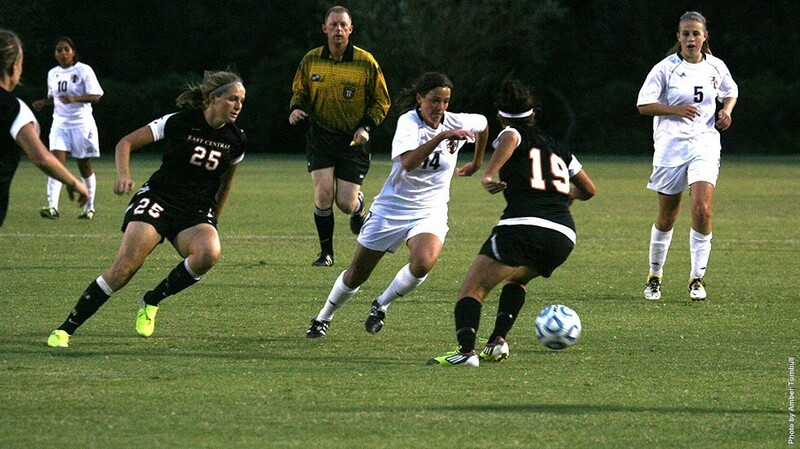 Southern Nazarene (1-1) posted its first shutout of the season with a smothering defensive effort. The Storm only allowed one shot on goal, and Natasha Fuentes received credit for the save. Its Fuentes’ first shutout of her career. The Storm and Dust Devils were neck and neck the entire match until the 60th minute when Glitzke got a pass from Mallory Pineda from across the field and was able to put it in the upper 90 region of the frame to make it 1-0. The Storm put the clamps down on the defensive end and forced the shutout. The Storm put seven of their thirteen shots on goal.